Patients who come to our holistic dental office in Wilmington are often surprised to learn about how their dental health is linked to diabetes. Unfortunately, diabetes can also affect so many other parts of your body as well, so it’s essential to get a proper diagnosis and set up an effective course of treatment to help you stay strong and healthy in both body and spirit. If you suspect you have diabetes, it’s very important to speak with your doctor and create an immediate plan for your treatment. 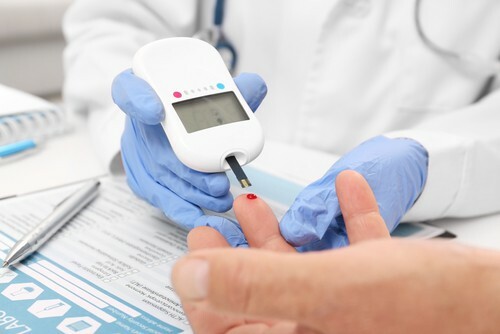 Without being controlled, your diabetes could cause serious health concerns such as kidney disease, nerve damage, heart disease, and even damage to your oral health. How is Diabetes Related to My Dental Health? The connection between diabetes and your mouth has to do with your white blood cells. When you have diabetes, your increased blood sugar levels when the disease is not controlled can weaken your white blood cells. These crucial cells act as your body’s most significant way to defend itself against bacterial infections in and around your teeth leading to things such as cavities, deterioration, dry mouth, thrush, and gum disease. Because diabetes can increase your risk for severe gum disease, you’re also prone to loss of teeth and bone density. The bacteria that are present when you have gum disease and cavities can also be dangerous to the rest of your body if it leaves your mouth before making its way to other vital organs. We hope you’ve learned a little more about diabetes and how it can affect your mouth too. If you think you may be experiencing gum disease in the early stages or even if your sure something’s not right with your gums, it’s important to give your holistic dentist in Wilmington a call as soon as possible. The All About Smiles team is happy to take a look at your oral and overall health history and work with your primary care providers to create a plan that helps you enjoy total health so you can live the active life you deserve.